Project Type: Business Hosting, Featured, Web Design. 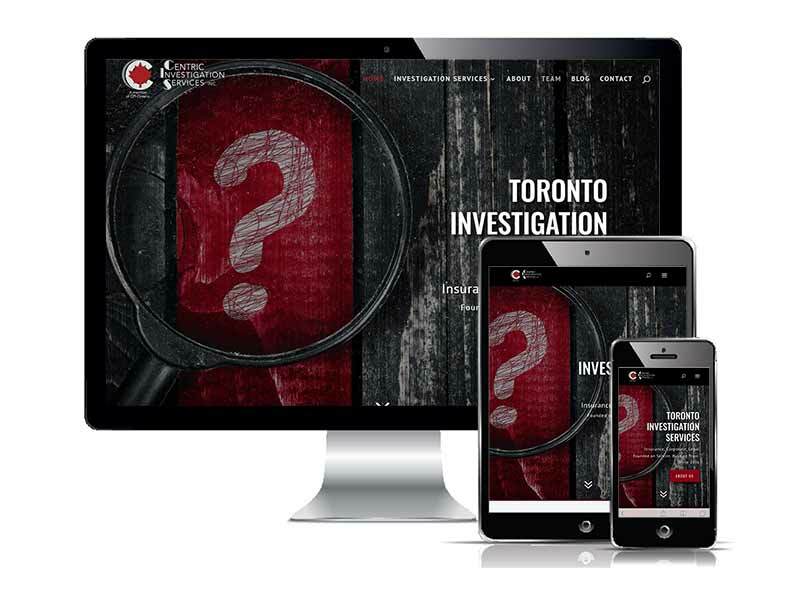 Centric Investigation Services Inc. is a fully licensed and insured private investigation agency in Toronto, Canada. The Agency joined COMMbits in 2016 for our Outlook Business Email services and local IT services. At that same time we also developed a small website to replace the Firm’s broken, outdated and slow website. With this new initiative, we have completely redesign the Firm’s web presence strategy with a modern, responsive website. One of our main objectives was to design a website able to turn visitors into customers. Through deep collaboration with the client and long on-site meetings, we have completed a thoughtful selection of imagery and accompanying tag lines using our latest partnership for Stock Photo Assets. The end result is a focused set of pages best utilizing modern web design elements targeting the Agency’s main areas of business – Toronto Corporate Investigations and Insurance Investigations in Ontario in general. We power the project on our legendary Business Web Hosting infrastructure. Without sacrificing features or performance speed, we offer on-going back-office maintenance, security and enhancements. If your Firm too is interested in redesigning its web presence, complete with business hosting and email, digital marketing and SEO, e-commerce and copywriting, please see our Web Design informational page.